Last week I re-read Jason Sharman’s classic Havens in a Storm, described by Tax Analysts’ Martin Sullivan as “one of the best books out there for tax experts trying to make sense of big countries’ policies toward tax havens” (Sullivan’s review includes a length summary of the book). I was looking for a hook for this blog and, well, it was provided by Jürgen Mossack and Ramón Fonseca. The OECD has published a curious Q&A on the Panama papers leak, according to which the problem is “Panama’s consistent failure to fully adhere to and comply with international standards”, which it contrasts with “almost all international financial centres including Bermuda, the Cayman Islands, Hong Kong, Jersey, Singapore, and Switzerland.” But the Panama papers story isn’t just about Panama, it’s about the other financial centres that were used by Mossack Fonseca (see the chart below), most of which are rated as “largely compliant” by the Global Forum, the OECD satellite body that peer reviews information exchange compliance. Mossack Fonseca’s clients have been rapidly deactivating companies since 2009, records show. The number of incorporations of offshore entities has been in decline for the past four years. To tackle the cancer of corruption at the heart of the global financial system, tax havens need not just to reform but to end. Companies, trusts and other structures constituted in this shadow world must be refused access to the real one, so they can no longer steal money and wash it back in. No bank accounts, no property ownership, no access to legal systems. Havens in a Storm gives us some important context about why we are where we are. The OECD’s Harmful Tax Competition project has come to be seen as the defining international political tax project of a generation of global tax actors – both OECD bureaucrats and governments – in the way that BEPS is for the current generation. The initial 1998 report [pdf] is still a reference point, primarily for its classic definition of ‘tax haven’, and the list of ‘uncooperative tax havens’ published in 2000 has not ceased to be cited, even though the last jurisdictions were removed from it in a 2009 update. Yet the 1998 and 2000 reports are also anachronisms. They raised the spectre of sanctions against countries meeting the tax haven definition, but within a few years, the project had been dramatically scaled back and watered down. The initial threat of specific sanctions against jurisdictions that did not commit to comply by 31st July 2001 became a partnership approach accompanied by what Sullivan refers to as “a series of toothless pronouncements, a mixture of cheerleading and scorekeeping.” Furthermore, the OECD’s ambitious original aim of dealing with harmful competition for mobile capital was abandoned for a focus exclusively on the exchange of tax information on request. According to Sharman, these failures came about because the OECD lost a battle of ideas and language, not an economic (or, for that matter, military) one. Central to this analysis is that “the technocratic identity of the OECD as an international organisation comprised of ‘apolitical’ experts” resulted in a battle waged in a rhetorical and normative space, rather than a political one dominated by the calculus of economic power. “The OECD made the struggle with tax havens a rhetorical contest, that is, one centred on the public use of language to achieve political ends.” The OECD is able to do this not because of the economic dominance of its members, but because of the secretariat’s use of “expert authority” to create influential regulative norms. The power of ‘blacklisting’ tax havens lies not in the economic might behind the implied threat of sanctions, but in the very act of labelling, with its reputational consequences (“the bark is the bite”). 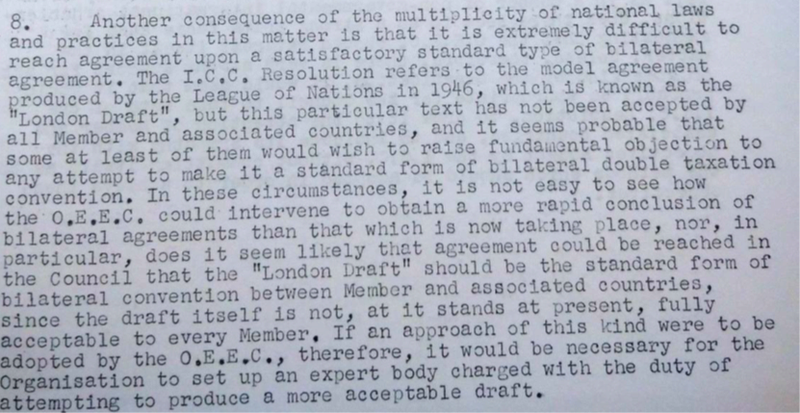 Opponents forced the OECD to abandon key planks of the project by turning its rhetorical weapons against it. First, they portrayed the idea of sanctions as a contravention of the principle of fiscal sovereignty, suggesting that by its implied advocacy of sanctions, the OECD secretariat was breaching norms of reasonable conduct. Second, they turned the term ‘harmful tax competition’ back on the OECD, forcing it to defend its pro-tax competition stance and eventually to replace the term with ‘harmful tax practices’. Third, they alleged hypocrisy among OECD countries, pointing to Luxembourg and Switzerland’s (and later Belgium and Austria’s) refusal to be bound by the project’s outcomes. In the world of rhetorical power, such ‘rhetorical entrapment’ is a powerful tool.. If the project had been primarily a manifestation of raw state power, these rhetorical skirmishes would have mattered little to the eventual outcome. Yet Sharman makes a powerful case that they were its main determinants. One important example is that he attributes the decisive intervention of the Bush administration not to its being ’captured’ by multinational businesses with material interests in the project being scaled back, but to the ideologically-driven machinations of lobbyists from the Center for Freedom and Prosperity. As part of its ongoing fight against opacity in the financial sector, the OECD will continue monitoring Panama’s commitment to and application of international standards, and continue reporting to the international community on the issue. On one hand, the OECD’s normative claims are more powerful because of its claim to be the custodian of ‘international standards’, a claim that probably has more weight as a result of the increasing involvement of some non-OECD countries in its various tax projects. On the other hand, the peer review approach seems to implicitly concede a conservative notion of procedural fairness (reasonable behaviour, again) towards secrecy jurisdictions. And the allegations of hypocrisy among its members don’t help its authority: the US’ ambivalence [pdf] towards sharing tax information automatically on a reciprocal basis is the standout example; there is talk about the use of US states as tax havens by Mossack Fonseca; the list of non-compliant jurisdictions that marked the G20’s entry into tax information exchange in 2009 gave Hong Kong and Macao special treatment. This is perhaps also one sense in which the UK’s actions towards its overseas territories could have some bearing on how Panama behaves. To finish, the parallels between the Harmful Tax Competition project and the Base Erosion and Profit-Shifting (BEPS) project on multinational corporate taxation are worth pointing out. Consider: an initial ground-breaking report from the OECD secretariat that has become an intellectual reference point, a whittling away of that initial ambition in intergovernmental negotiations, and an inevitable feeling after the fact that the policy reforms agreed won’t quite fix the problem so eloquently framed by the OECD in the first place. It would be too soon, of course, to judge how successful BEPS has been in comparison to its predecessor. But it’s more interesting, I think, to look at the rhetorical battle. In inventing a new term, ‘Base Erosion and Profit Shifting’, the OECD succeeded in owning the construction of the problem just as it did by defining ‘tax haven’. ‘BEPS’ refers simultaneously to a set of corporate practices that, because they are brought under this umbrella, are hard to define, but it also refers to the OECD’s own project to tackle them. In using the term, critics and supporters alike endorse the OECD’s intellectual leadership. The rapid and widespread adoption of the term illustrates that in 2013, just as in 1998, the OECD knew how to operate in a rhetorical battlefield. An interesting research question is whether Sharman’s analysis of why the Harmful Tax Competition project struggled can still explain developments in its successor, the Global Forum, or indeed the outcomes of the BEPS project. 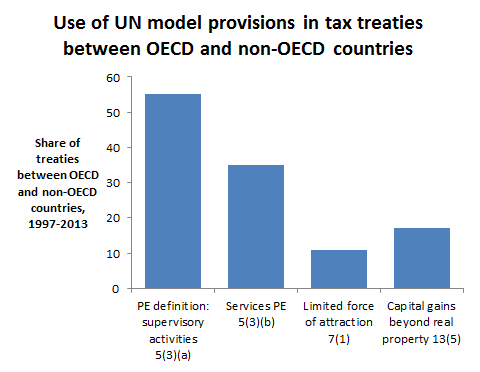 Do OECD tax projects always stand and fall on the secretariat’s skill at owning the rhetorical space, or do we need to acknowledge governments’ material interests and incentives to fully explain outcomes? (In their commentary on the Panama papers, Len Seabrooke and Duncan Wigan, political scientists who believe in the causal role of ideas, seem to emphasise the latter, how “big, powerful states…themselves may benefit from sheltering other countries’ hot money.”) Answering that question might help us resolve a second, prescriptive one: can the problem of offshore tax avoidance and evasion ever be fully addressed on the technical, normative and rhetorical terrain occupied by the OECD, or does it require an institution with a more political modus operandi? This is certainly an interesting time to be studying the politics of international tax!